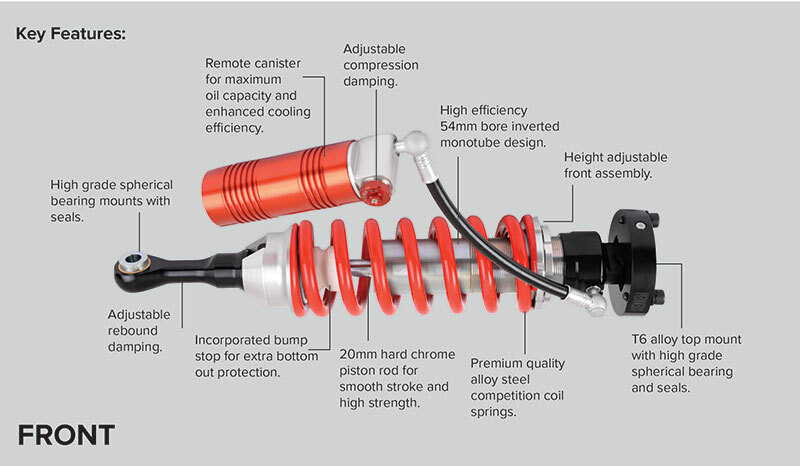 TrakRyder eXtreme Adjustable Coilovers | Pedders Suspension – The Car Suspension Specialists! 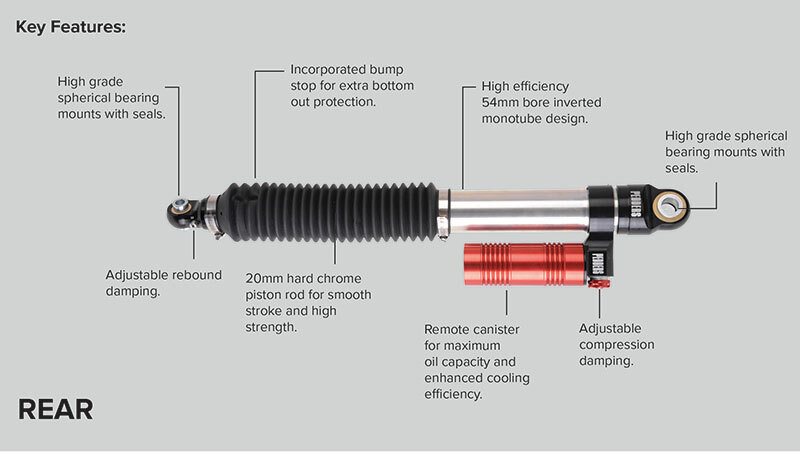 The all new Pedders TrakRyder eXtreme Adjustable Coilover has been designed to provide the best in suspension kits for the serious 4X4 enthusiast driver. With so many features the TrakRyder eXtreme range of coilovers is a must for those that want the best in handling for their Hilux, Ranger, Colorado or D-Max. The ride and handling performance can be tailored to suit your needs at the click of a button. Smooth on road feel and eXtreme off road handling performance are the key benefits of the adjustable coilovers. Ideal in all types of driving conditions such as: extreme off road, general driving on roads, load carrying & towing. Each kit includes a set of 2 front adjustable coilovers and 2 rear adjustable shock absorbers, fitting kit and adjustment spanners.